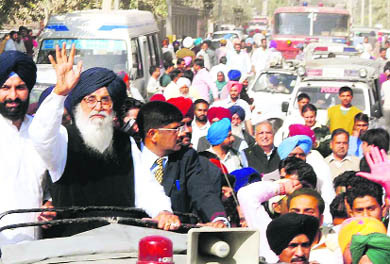 The Shiromani Akali Dal (SAD)-BJP alliance made history by overcoming anti-incumbency to retain power for the second consecutive term, thus creating history in the Punjab electoral politics. By winning 56 seats on its own and with its alliance partner BJP winning 12 seats, this will be the first time in Punjab�s history that a ruling party has been voted back to power. Widely perceived as a litmus test for the 2014 Lok Sabha elections, the results of the five Assembly polls declared today served as a serious warning for the Congress in general and its heir-apparent Rahul Gandhi in particular about the party�s capability to lead the country once again as the morale of cadres sank to a record low. 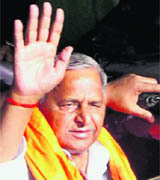 Akhilesh Yadav, the 39-year-old heir apparent of Samajwadi Party chief Mulayam Singh is clearly the man of the moment at the Samajwadi Party headquarters. Voters in Uttarakhand have delivered a hung House with both the Congress and the BJP falling short by four and five seats respectively for a simple majority in the Assembly of 70 members. While the Congress won 32 seats, BJP bagged 31. The Digambar Kamat-led Congress government in Goa suffered an embarrassing defeat with most of its stalwarts biting the dust, mainly at the hands of newbies fielded by the Bharatiya Janata Party (BJP). Manipur Chief Minister Okram Ibobi Singh has once again proved that he is a hard nut to crack. The veteran Congressman had led the party to the third consecutive victory in Manipur, the most troubled state in the North-East belying speculation about a hung Assembly.